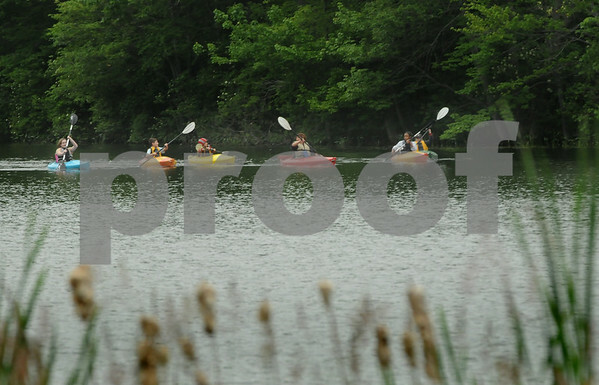 Amesbury: Amesbury Middle School students head down the Powow River where it becomes Lake Attitash on Wednesday, departing from Camp Kent. They were in the Youth Recreation's afterschool program. Bryan Eaton/Staff Photo Newburyport News Wednesday June 10, 2009.